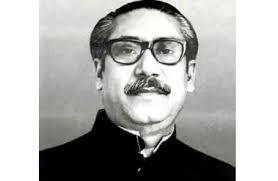 M Humayun Kabir: Bangladesh yesterday observed National Mourning Day commemorating the assassination of its independence architect Bangabandhu Sheikh Mujibur Rahman. A group of disgruntled army officers killed the Father of the Nation Sheikh Mujib, then President of the new republic, along with most members of the family on August 15, 1975 at his Dhanmondi residence in Dhaka, reports bdnews24,com. The national flag was kept at half-mast at all government, semi-government and autonomous organisations, educational institutions, private establishments and Bangladesh missions abroad. President Abdul Hamid and Prime Minister Sheikh Hasina paid their respects by placing wreaths at the portrait of Bangabandhu in front of Bangabandhu Memorial Museum at Dhanmondi Road No. 32 yesterday morning. Speaker Shirin Sharmin Chaudhury and Chief Justice Syed Mahmud Hossain and Awami League presidium members, secretaries and executive council members also paid their respects. The museum later opened for all and thousands of people poured into the venue to place wreaths at the portrait of Bangabandhu. On this day 43 years ago, a handful of renegade army officials killed the Father of the Nation along with his wife Begum Fazilatunnesa Mujib, sons Sheikh Kamal, Sheikh Jamal and Sheikh Russel, daughters-in-law Sultana Kamal and Rosy Jamal, younger brother Sheikh Abu Naser, nephew Sheikh Fazlul Haque Moni and brother-in-law Abdur Rab Serniabat, Moni’s wife Begum Arju Moni and Serniabat’s daughter Baby, son Arif and grandson Sukanto Babu. Bangabandhu’s security chief Col Jamiluddin Ahmed, police’s Special Branch Sub-Inspector Siddiqur Rahman, three guests and four domestic helps were the others to fall. Special prayers were offered at mosques, temples, pagodas, churches and other places of worship throughout Bangladesh. Awami League distributed food among disadvantaged people marking the day. Different parties and cultural organisations chalked out elaborate programmes to mourn. State broadcaster Bangladesh Television, Bangladesh Betar and other private television stations aired special programmes on the day. The national dailies published special reports and supplements. The August 15 massacre was not commemorated for 20 years from 1975 to 1995 at national level. It was declared National Mourning Day by the Awami League after it came to power in 1996, which was again scrapped by the BNP-Jamaat government in 2001. The day has been observed as National Mourning Day since 2008 following a High Court order.